Baked Wonton Chicken Taquitos are so easy to prepare, you’ll be amazed. They make a great addition to your next football viewing party as a great appetizer, as part of a Cinco de Mayo Celebration. They’re also great as an appetizer for your next Mexican Night at home. 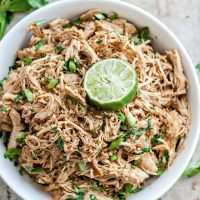 Shredded chicken is super versatile for weeknight dinners. I almost always keep small, 1 – 2 cup, portions of my favorite Shredded Mexican Crockpot Chicken in the freezer. 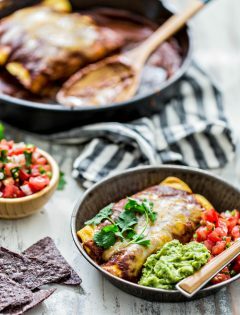 I love the flavor that this chicken adds to really simple at home Mexican fare, like these Easy Baked Wonton Chicken Taquitos. 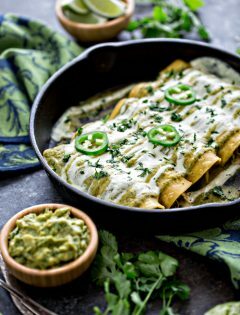 You’ll combine cream cheese, Mexican blend cheese, and Salsa Verde with shredded chicken. If you prefer a different type of cheese, try Monterrey Jack, Pepper Jack or even just regular cheddar. 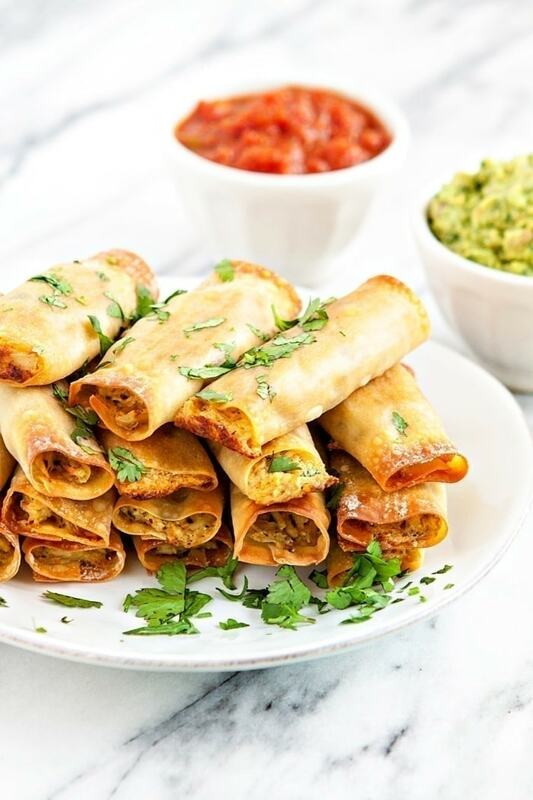 Click HERE to save this recipe for Easy Baked Wonton Chicken Taquitos to Pinterest! Any favorite store-bought brand of salsa verde will work. 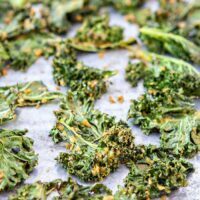 But, if you prefer homemade, try making a batch of this Easy Roasted Salsa Verde – it is worth the extra time! To mix up the flavors in these tasty Easy Baked Wonton Chicken Taquitos, try a regular red tomato based salsa in place of the recommended Salsa Verde. If you prefer pork to chicken, I like this Slow Cooker Southwestern Pulled Pork. 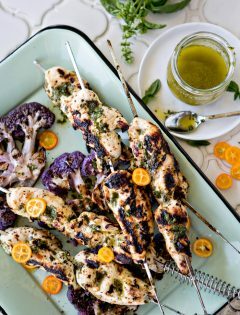 Once you have the chicken taken care of, all you have to do is combine a few ingredients (cream cheese, Mexican cheese and Salsa Verde) with the chicken. Then roll the creamy, cheesy chicken mixture into Wonton rolls. Then, brush with oil and bake. 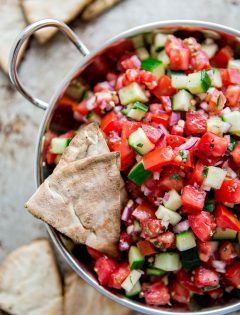 If make ahead appetizers are your thing, I recommend making the filling ahead of time but holding off on assembling or baking until you’re ready to serve. Enjoy these simple Taquitos straight out of the oven for best results. 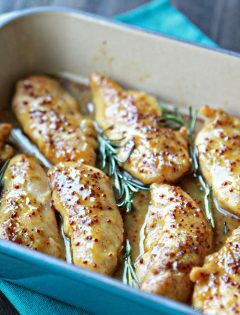 Once cooked to safe handling temperature, you’ll have a baking sheet full of crispy-on-the-outside, hot-and-cheesy on the inside chicken bites. 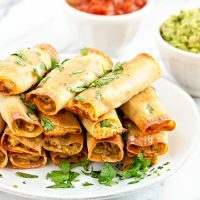 Easy Baked Wonton Chicken Taquitos are perfect as an appetizer (or serve them up for dinner) with a side of 5 Minute Basic Guacamole and Easy Restaurant Style Salsa for dipping. 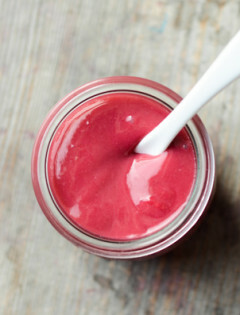 Looking for a few more recipes to make using cardamom? 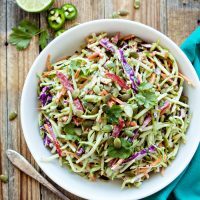 Check out some of these favorite recipes, or browse the ingredient index archives for even more great appetizers. Classic hummus is transformed into this Roasted Salsa Verde Hummus with the addition of roasted poblano, jalapeño, tomatillo, onion, cilantro, and lime. 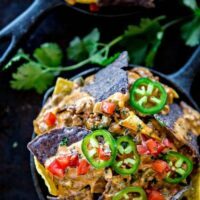 Ultimate Easy Nachos Recipe whips up in a pinch and make Super Bowl appetizers super simple to prepare (and serve), leaving you with more time to socialize, eat, and enjoy the game! Do you like Guacamole? Give this Deconstructed Guacamole a try for something different. It features all of your favorite guacamole elements, but in a deconstructed manner. Love this recipe for Easy Baked Wonton Chicken Taquitos? 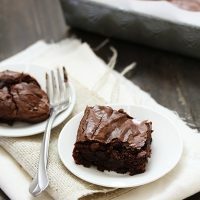 Sign up for Good Life Eats email updates and never miss another recipe! You’ll be amazed at how easy these Baked Wonton Chicken Taquitos are. They’re perfect for a quick and tasty weeknight meal or for an appetizer as part of a Cinco de Mayo Celebration. 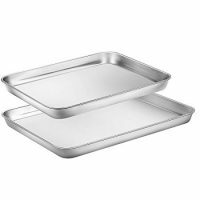 Lightly grease a baking sheet, such as the 9x13 Air Perfect Bakeware Pan, with cooking spray. Set aside. 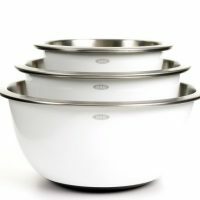 In a medium mixing bowl, combine the salsa verde, cream cheese, and Mexican cheese blend. Divide the mixture evenly between each of the wonton wrappers. Place the chicken mixture on the wrapper and roll up, leaving the ends open. 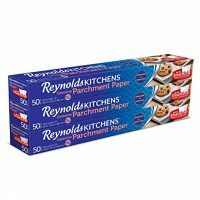 Then, place rolled wrappers on the prepared baking sheet. Repeat until all wrappers have been used. Using a pastry brush, brush the tops of each rolled wonton wrapper with a small amount of olive oil. 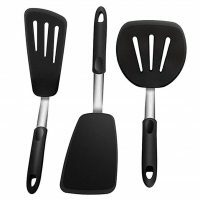 Place the pan in the oven on the middle rack and bake at 400 degrees F for 15 - 25 minutes, flipping them halfway through, or until crispy and golden. Place the baked taquitos on a plate and sprinkle with the chopped cilantro. 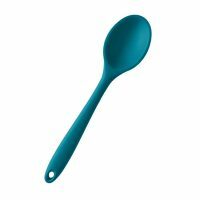 Serve, immediately, with salsa and guacamole for dipping. Let me know if you try this recipe for Easy Baked Wonton Chicken Taquitos and what you think of it by leaving a comment below. 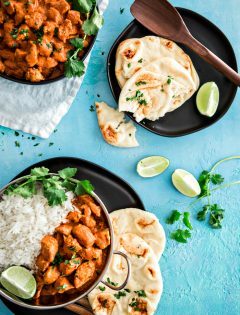 Check out our Reader Favorite Top 20 Super Bowl Recipes that will keep your guests coming back for more . 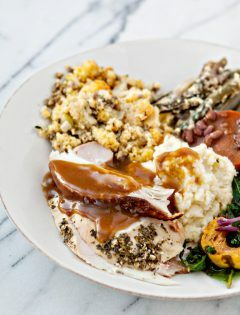 . . and even more.They are all game day approved, tested by the football fans and the food lovers so they’re sure to be a hit! 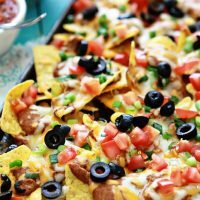 These Ultimate Easy Nachos whip up in a pinch and make game day appetizers super simple to prepare (and serve). Topped with spicy refried beans, tomatoes, olives, green onions, and of course plenty of cheese, they're both tasty and colorful. Baked Wonton Chicken Taquitos are so easy to prepare, you'll be amazed. 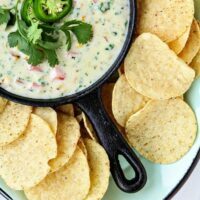 They make a great addition to your next football viewing party as a great appetizer, as part of a Cinco de Mayo Celebration, or even as an appetizer for your next Mexican Night at home. 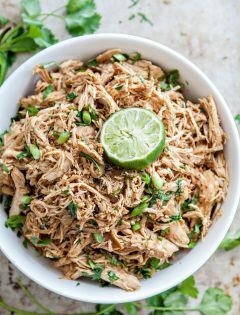 Shredded chicken is super versatile for weeknight dinners. 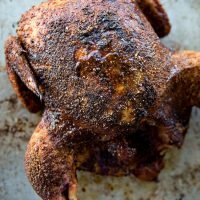 Easy Smoked Chicken is a great summer meal. 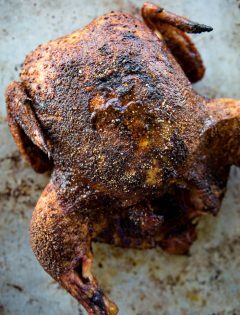 The chicken turns out incredibly flavorful, tender and juicy. Perfect for BBQs or any time you want to cook a whole chicken but want to do something a little different than traditional roasting. 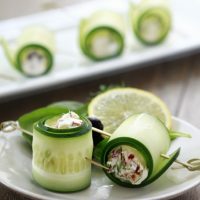 These Cucumber Feta Rolls are the perfect appetizer for any occasion! Crispy, cool cucumbers are rolled up with a creamy feta mixture in the middle. 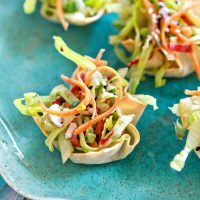 Recipes like these Asian Salad Wonton Cups satisfy my cravings for cool, crunchy recipes. 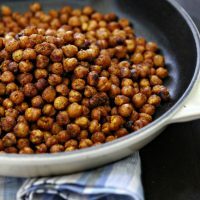 They also make great party appetizers! 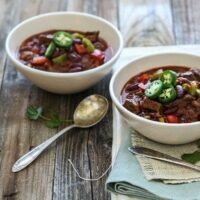 This Braised Short Rib and Bacon Chili has chunks of tender beef short ribs, peppers kidney beans, in a thick chili base. 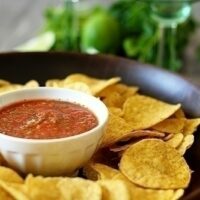 This Easy Restaurant Style Salsa is so good and so easy to make! 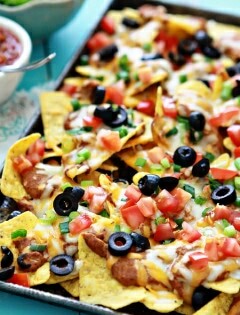 It is perfect for Taco Tuesdays or as a Super Bowl Appetizer served with Nachos or Tortilla Chips. 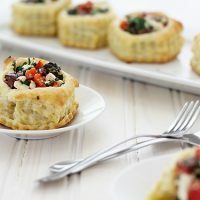 Puff pastry shells are baked and filled with a mixture of kalamata olives, red bell pepper, fresh oregano, feta, and spinach with a lemony olive oil vinaigrette for a scrumptious puff pastry appetizer perfect for any party. 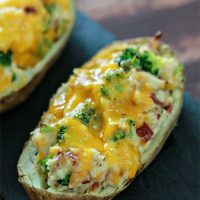 Next time you're craving comfort food, try these Broccoli Cheese Loaded Twice Baked Potatoes. 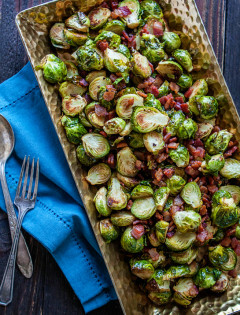 They're loaded up with plenty of broccoli, cheese, and - everyone's favorite - bacon! 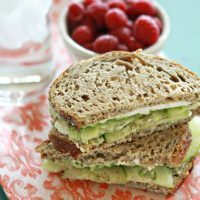 Thinly sliced, cool cucumbers are layered with mashed avocado and cream cheese spread on whole grain bread to make this satisfying Cucumber and Avocado Sandwich. 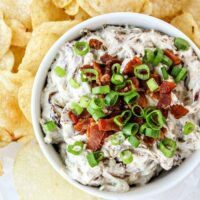 Caramelized Onion Bacon Blue Cheese Dip is a revamped and homemade version of the classic onion dip. This dip has tons of flavor thanks to the addition of blue cheese and plenty of crumbled bacon. 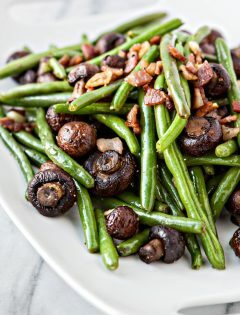 It is a perfect appetizer to enjoy while watching the Super Bowl, or any of your favorite sports on game day. This easy roasted salsa verde takes just a few minutes to prep once you've roasted the veggies. 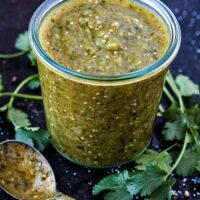 It is perfect for homemade green enchilada sauce, smothered burritos, or simply as a green salsa to serve with chips. Game Day entertaining and homemade Slow Cooker Queso con Carne is a cinch thanks to your Crock-Pot® Slow Cooker. Game Day Slow Cooker Queso con Carne features gooey cheese combined with spicy meat, tomatoes, and plenty of tortilla chips for scooping. 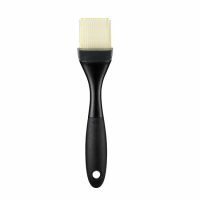 It is perfect for all your homegating parties. 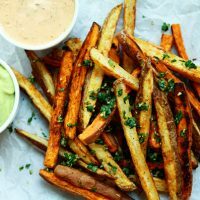 In these Tex-Mex Oven Fries, sliced russet and sweet potatoes are tossed a cilantro lime garlic mixture as soon as they come out of the oven and served alongside a duo of dipping sauces: Chipotle Lime Ranch and Avocado Ranch.